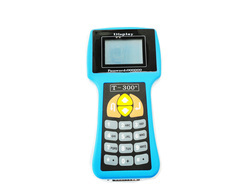 T300 transponder key programmer is used for key programming. If you loose your car key and want to copy a key DIY, It will save much money! Works with many cars listed - However we cannot guaranteeevery car. Models include: Acura, Audi, Alfa, Chevrolet, Citroen, Daewoo,Fiat, GM, GM Holden, Hnda, Hyundai, Isuzu, Infiniti, Jaguar, Kia, Land Rover, Lancia, Lexus, Lincoln, Mazda Japan, Mazda USA, Mercury, Mitsubishi, Nissan, Peugeot, Renault, Rover, Seat, Skoda, Suzuki, Toyota Japan, Toyota USA ,Volkswagen and VW/Audi (Pin code reading).